Lebanese Prime Minister Saad al-Hariri said on Thursday Gulf Arab countries were planning no action against Lebanon after a political crisis last month thrust it onto the front line of rivalry between Saudi Arabia and Iran. Hariri has been a political ally of Saudi Arabia but his coalition government includes Lebanon’s powerful Shi’ite Muslim Hezbollah group, an ally of Shi’ite Iran and sworn enemy of Sunni Muslim Riyadh. Last month’s political crisis, sparked when Hariri announced his resignation while in Saudi Arabia, raised fear in Lebanon that Riyadh and its Gulf allies would take economic action against the tiny Mediterranean country. In an interview broadcast from Riyadh before he returned to Lebanon and rescinded his resignation, Hariri warned of possible Gulf sanctions on Lebanon and of a threat to the livelihood of Lebanese workers in Gulf states. His remarks on Thursday seemed aimed at reassuring that no such action was in the cards. “This is not going to happen. I assure you we have the best relationship with Saudi Arabia, we have a very good relationship with the UAE, and most of the Gulf,” he said at a business conference. 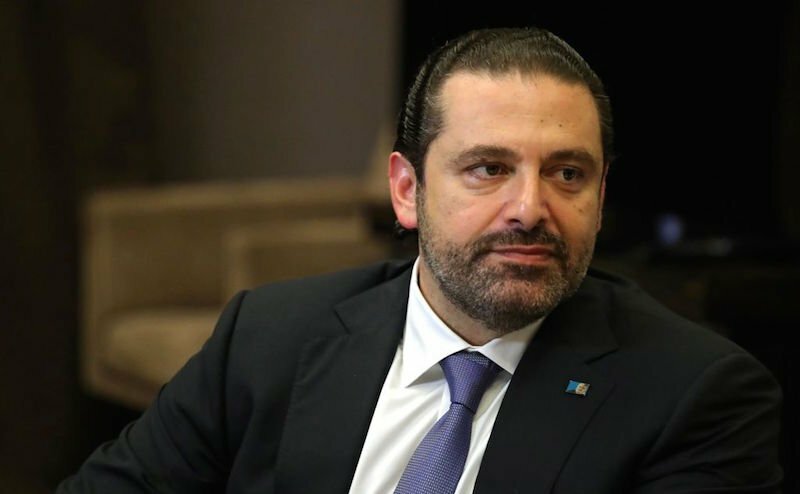 “The Gulf has a problem with one political party in Lebanon and does not have a problem with the whole of Lebanon,” Hariri added, alluding to Hezbollah.